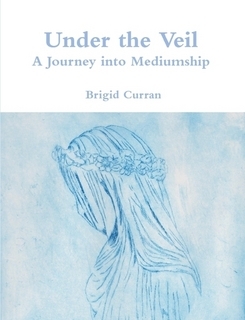 Under the Veil takes the reader on a personal journey into Mediumship. We follow Brigid as she shares the parallels learnt from her Catholic upbringing into her development as an International Medium. This is a true story about a skeptic who 'fell' into Mediumship. This little book is the story about a woman, who later in life, discovers that she has the ability to connect with people who have passed. Through her own skepticism and humour, you will delight at the natural way Brigid explains what Mediumship is, even though she still claims to be a skeptic today. Not only does Under the Veil take you on a journey of discovering Mediumship it also shares with you the tools to experience it yourself.